Patricia A. Behrends, 79, of Rockford passed away October 23, 2018. Pat was born August 16, 1939, in North Tonawanda, NY to George and Mary (Viscusi) Krantz. Pat graduated from North Tonawanda High School in 1957 and was a member of the National Honor Society. She then went to Western Illinois University where she met the love of her life Chuck Behrends. She later married Chuck on September 5, 1959 in Buffalo, NY. She eventually moved to Rockford where they raised their three sons. Throughout Pat's life her faith, family, and friends were very important to her. 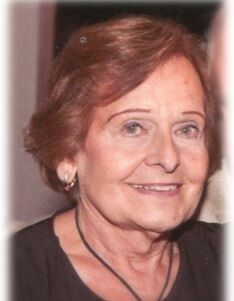 She loved her sons, grandchildren, great grandchildren and family gatherings. Pat was a homemaker who enjoyed working in the yard, especially in her garden. She enjoyed playing golf and looked forward to spending the winter months in Florida. Pat was an excellent cook and loved to bake. She never passed up an estate or garage sale! She loved the family dogs and watching and feeding the many birds in their backyard. Pat was her husband's and sons' best cheerleader during their athletic events. The Behrends family were long time members of Holy Family Catholic Church where Pat taught CCD classes for years. Pat was predeceased by her parents and husband Chuck Behrends. She is survived by sons, David, Randy and Chad; grandchildren, Brittany Behrends, Peyton Behrends, Zachary Behrends, Austin Behrends, and Alex Colombi; and three great-grandchildren. Funeral Mass 10:30 a.m. Monday, October 29, 2018 at Holy Family Catholic Church, 4401 Highcrest Road, Rockford. Visitation 3-5 p.m. on Sunday, October 28, 2018 at Honquest Funeral Home, 4311 North Mulford Road, Rockford. Visitation will continue from 9:30 a.m. until time of service at the church Monday, October 29, 2018. Entombment in Sunset Memorial Gardens Mausoleum. In lieu of flowers, memorials may be made to the family for a memorial to be established.